Do you wish you had some time to focus on your writing?Would you like to know how to get your book finished and published and into reader's hands? Do you want to learn how to build your author platform? If yes, come and join us in Ubud, Bali for “How to Write, Publish, Sell and Promote Your Book”, a small group retreat for writers wanting to learn, network, relax and experience the culture of Bali. Each day at the beautiful Kumara Sakti resort, you will have focussed learning workshops as well as time to do yoga, have a massage, experience local Balinese food plus visit the temples, watch Balinese dancing or walk in the rice paddy fields. The workshop is also just before the Ubud Writer's Festival so you can stay on for a further cultural experience (discounted tickets available). 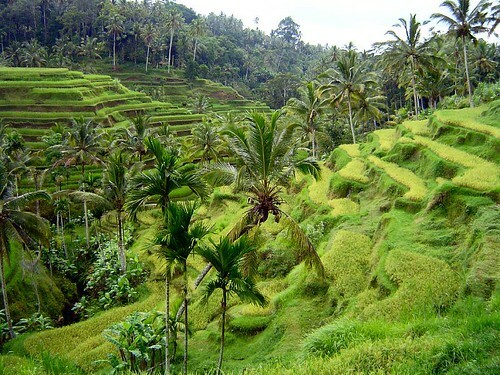 You may remember Ubud from Elizabeth Gilbert's wonderful book ‘Eat,Pray,Love‘. Publish Your Book: The publishing quadrant including: traditional publishing, self-publishing, print-on-demand, ebooks and digital publishing – what's right for your book. 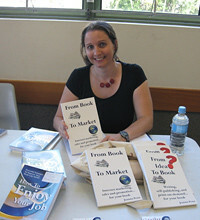 Detailed session on how to publish ebooks, getting your book on the Kindle and more. EarlyBird special pricing is available until April 1st – CLICK HERE for all the details including pricing, resort information and contact information for OneWorld Retreats. I hope to see you in Bali in October!